Drive from Seattle to Eastern Washington. The scenery really changes when you drive from Seattle to Spokane via I-90. I stopped at Rye Grass to get this candid shot, right outside of Vantage. This would be a great photo op location for a FallWinter look book. Photo taken with my iphone. 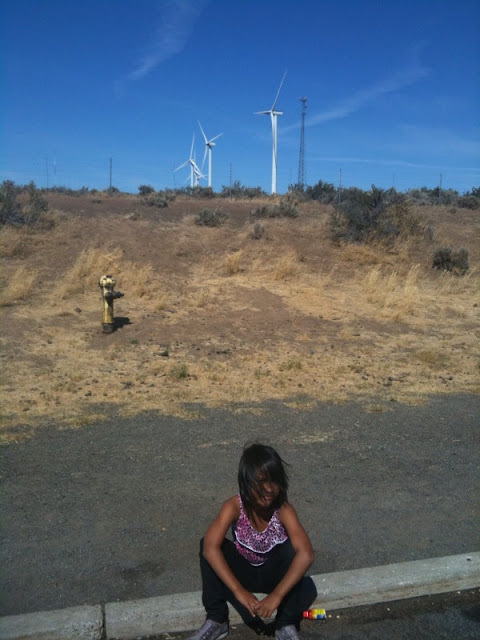 I love the power wind machines in the background, its very desolate and real.